Amid the lush backdrop of KwaZulu-Natal’s picturesque terrain, you’ll find iNsingizi Game Lodge & Spa tucked away in a beautiful secret valley. Nestled in the rolling hills of Eston/Mid-Illovo, iNsingizi Lodge & Spa offers an unrivalled African bush experience within a 100km radius of Durban, with something to offer even the most jaded urban-dweller — an invigorating retreat, a romantic getaway, or an adrenaline filled adventure. From the moment you drive up our signature “red brick road” to the main lodge, feel your stresses and strains melt away as you enter the heart of Africa. 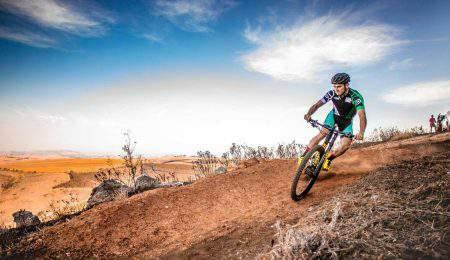 ​Experience the best single-track in the region. For exhilarating single track and trail adventures, look no further than iNsingizi. Book your ride/run, rub and grub experience today ! From outdoor conferencing to wellness retreats and think tanks, iNsingizi is where the best ideas and brainstorms are born. Book your business bush-break at iNsingizi today ! 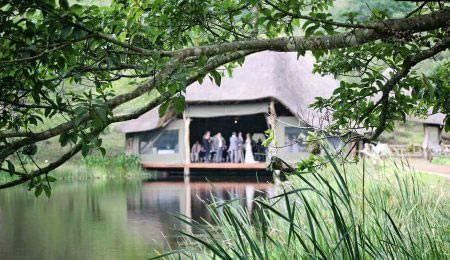 Let us make your “out of Africa” dream wedding come true at our charming country wedding venue, set amidst the beauty of the African bushveld. Book your wedding date now… before someone else takes it ! Treat yourself to a heavenly breakaway at our wellness spa with a variety of rejuvenating and indulgent spa treatments. Secure your spa spoils today ! High Tea at iNsingizi is the perfect spoil for life’s elegant occasions. 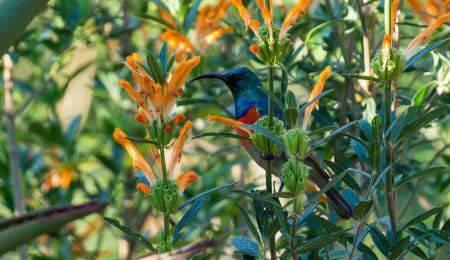 Anticipate an intimate, indulgent feast and a tea with all the trimmings – right in the African bush. Make time for tea today ! We were absolutely blown away by the entire experience. Every staff member, treatment and facility was of the highest possible standard – we will be back! Your staff are amazing and a real asset to the venue! Thank you Sthe and Nadia for making our stay EXTRA special. Your kindness, service and general care was the best I’ve ever had. HUGE compliments. See you sooner than later. Thanks for the amazing service and making our stay extra special. We sincerely appreciated the small gestures that made my husbands birthday memorable. Keep up the excellent level of customer service.